Strictly speaking, we don't even know for sure that there will be an Apple event on March 25. If there is, it's likely that the first official confirmation will be a press invitation which is typically issued a week or two before. Until then, everybody is guessing -- but some people are guessing with their fingers crossed and some are looking at evidence. 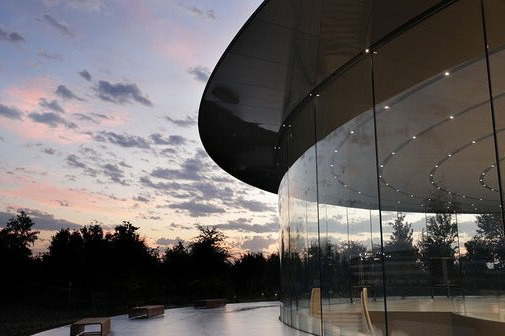 Based on reliable sources, tea-leaves read from supply chain sources, or in this case especially from Apple's deals with other companies, here's what you can expect to see on March 25, and what is in the works at Apple but less likely to appear as well. Multiple sources are saying that not only will Apple launch this service of newspapers and magazines, it will make it the chief highlight of the event. 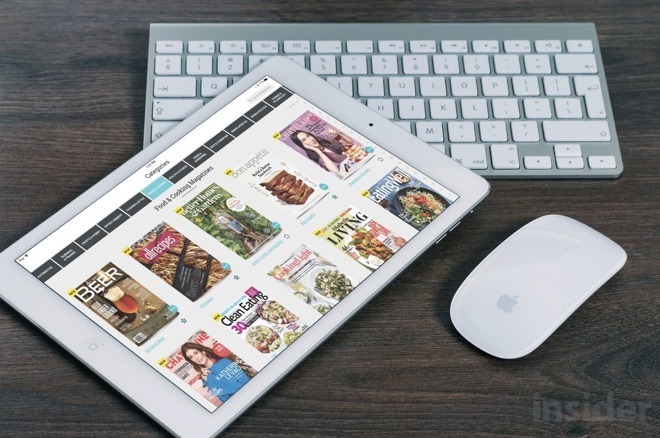 It's known that the company has been working on a paid Apple News subscription and now it's rumored that this will be called "Apple News Magazines". Despite sources saying news will be the highlight, there is also the possibility of Apple's video service being launched. Previous reports have suggested that it is likely to start in April so a March 25 event that didn't include it seems questionable. Only, if the event does have both of these new services, it seems to us that "Apple News Magazines" would be eclipsed in the public eye by the video one. It would seem odd if the service did launch, and yet had no appearance from any of the celebrity casts and producers we already know are involved. JJ Abrams, Jennifer Garner, M. Night Shyamalan, Richard Gere, Steve Carrell, Jennifer Aniston, Reese Witherspoon and Ophrah Winfrey are all providing shows to the service. Apple is known to be spending over $1 billion on these original shows so it's not going to launch that service with a press release. Equally, though, Apple has never run two full-scale events with less than a month between them. Apple does not hold events every March. Since 2011, it ran five events but had no announcements in 2013, 2014 or 2017. Each time it has had an event, though, it has always unveiled new hardware. That may not be the case this time, at least according to the same Buzzfeed sources that claim the news service will launch. That report says that the rumored AirPods 2 and fifth-generation iPad mini will not be launched at this event. While there have been conflicting rumors, the most likely evidence says now that AirPods 2 will launch in the fall. It is expected that Apple will be releasing a new "iPad mini 5" and also a refreshed regular iPad some time in the first half of this year, however. China Business Times claimed in December 2018 that manufacturing was about to start on the new iPad mini, although there were no details of the design changes from previous models. By contrast, the same sources reported that the 7.9-inch iPad will come in a new low-price version. They also say that the regular iPad will be both lower price and refreshed to follow much of the iPad Pro's latest design. Cheaper and better sounds a bit more like wishful thinking than it does Apple pricing policy, though. If it's true, though, then conceivably Apple will release these new wonder iPads at the March 25 event, because they're as close to mass-market as the company will ever have got. And an event with video celebrities is equally mass-market. Again, though, we're being told to not expect iPads just yet. This is getting into guesswork, however, whereas the news that AirPods will also not be featured is more certain. While recent rumors have been contradictory, the trend has been to expect them launching in the Fall. Other reports say that the much delayed AirPower charging mat, however, is so close to release that TV advertisements are being filmed now. We're just speculating now, but it doesn't seem very likely that Apple will champion its news service, herald its video one -- and then throw in that it's also finally made that charging mat it showed us in 2017. We'd be less surprised if the company showed us these new services and then announced some hardware that you can read and watch them on. Apple has actually said that it will be releasing an updated case for the AirPods which would let it use the AirPower charging pad. In which case, the case and the pad are effectively an inevitable pairing. There is other hardware that has long been expected, though, as Apple is arguably overdue to update the iMac. It was the surprise omission at the October 30, 2018 event which otherwise saw the Mac mini and the MacBook Air released. However, Apple now has a history of doing certain hardware updates with just a press release as it did with the refreshed MacBook Pros in summer 2018. If an iMac update were something like a minor speed or other specification improvement, we'd be certain Apple would do it via a press release. And equally if it were a major change, we'd expect a new iMac to appear at an event. However, some of the updates to the MacBook Pro line were substantial so it may be more a case of what Apple can best fit into its events. Which does again make us question the idea that it will launch both the news and the video service together. The news service doesn't feel like enough of a show to make an Apple event about all by itself, yet it would be drowned out if Apple also launched its Netflix competitor at the same time. Maybe Apple has a good story to tell us that features both. Maybe Apple is happy to put the news service out there when it won't get our full attention and we might miss just how many publishers it has failed to sign up. For me, the news service will be far more welcome than the video service. I use news services to keep up on what is happening -- ultimately for investment purposes since, for the past 10-20 years, investments have been affected more by monetary policy and Geopolitical stuff than in fundamentals. But, as major news services turn increasingly to expensive subscription plans that becomes increasingly difficult -- partly because each service has its own specialty area and for a complete view you need multiple sources. I am hoping that Apple News can help with that just as it helped with music. And what about the MacBook? The MACBOOK, which needs serious updating. Are there new Intel chips available for that model? It'll probably just be a press release. It's not like anybody buys the MacBook for specs. Whether that’s true or not, this isn’t the event for it. any products Apple introduces will take full advantage of the services being unveiled. In particular, I expect low-cost halo products which intorduce non-Apple customers to the Apple ecosystem. The rumored streaming stick, iPad mini, and iPod touch would all be excellent entry level devices that fit in perfectly with the event, and don’t take the spotlight off the service itself. I’d expect an upgrade to an Apple TV as well. An SE 2 is another good product for this, though probably a long shot. Macs aren’t really the target platform for this, and would clearly take the spotlight off the main product. Apple will tout its deals with major TV manufacturers to bring Airplay 2, iTunes, and the TV app to every consumer, and if rumors are accurate, promote ownership of Apple products with free Apple original programming as an alternate way to get it vs. a third party device subscription. There is very little suggesting a new iMac is coming imminently. There is even less saying that the MacBook will be updated soon. It seems like Apple will need to be aggressive with the promotion of the news service in order to attract more and keep existing magazines and news sites. Adding anything to this event that distracts from that promotion would be counterproductive. Apple TV with A12 chip announced alongside the video service! My bet is that the next MacBook will use an "A series" processor. If sources out there think Apple’s an magazine and news subscription service ONLY at the event, I’d bet that must be incorrect. The streaming video service will have to be the highlight of the event. It’s been years in the works and is a crucial play for Apple, they’ll probably hype the crap out of it. They need to produce a decent first party games controller, and give it an A12 chip and that could somewhat justify the prices they are charging. It fits that they would release updated low priced consumption devices along with new consumption services. Google News - pulls down everything for free and breaks it into region/content/headlines/categories that can all be customized. 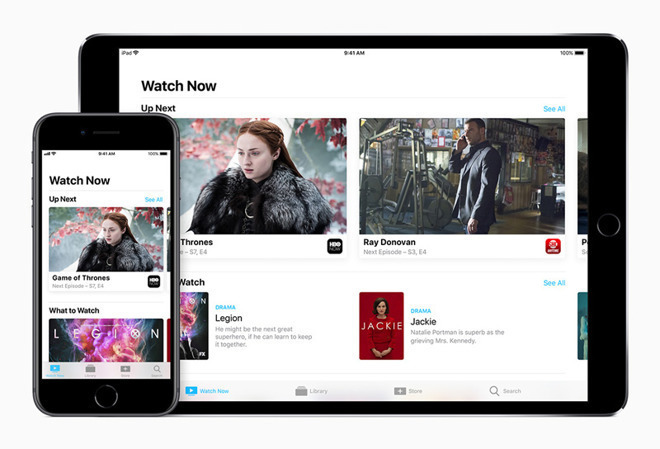 I'm really curious to see what Apple's streaming service will include. Will it be just original content or original and content from other providers? If it's just original content, spending over $1 billion isn't a lot. You won't get a lot of content for $1 billion when you compare how much others spend such as Netflix, HBO, etc. Netflix reportedly will spend over $15 billion on content in 2019. Streaming has become very crowded now. It's going to be interesting to see what Disney will include in their streaming service later this year. Disney's streaming service will be a big blow to Netflix after all their content will be removed. No one cares about the MacBook. Considering the iMac is Apples most iconic desktop, the lack of updates is embarrassing. Never mind, Tim Cook says the Mac is important. and I would never buy a news service run by Apple. Idon’t need an intermediary for that. I buy Apple hardware. I see the video service announcement as a perfect time to reveal new Apple TV hardware. The next big reason would be to reveal it during a big gaming push. What if Apple announces a partnership with Disney? That's still possible. I don't want Google watching what I read. That's a good point. Integrating a gaming controller with a streaming device makes a ton of sense. I think a gaming controller makes sense when Apple announces a gaming push. They should buy a big developer. But not realistic. Disney doesn't really gain anything from partnering with Apple. Disney is a bigger name brand than Apple. And partnering with Apple only confuses Disney's efforts to self-brand as a streaming service.